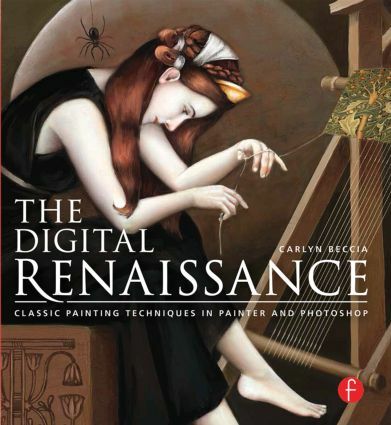 The Digital Renaissance teaches you how to translate the methods and skills found in traditional art to the digital medium. By covering fundamental painting principles and the basics of digital software, before moving into tutorials that break down key techniques, professional artist Carlyn Beccia teaches you how to use the tools at hand to paint your own works of art. Each chapter showcases one great painter and analyzes the techniques that set each one apart. These techniques are then imitated in step-by-step tutorials, allowing you to achieve amazingly convincing results and bring your own work to new creative heights. Carlyn Beccia is a practicing digital artist, and awarding-winning author and illustrator of Who Put the B in the Ballyhoo?, The Raucous Royals, and I Feel Better with a Frog in my Throat. She also teaches digital painting to children and adults, and recently published Digital Painting for the Complete Beginner. She lives in Massachusetts with her family.